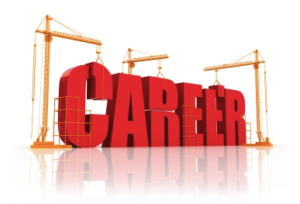 Talent Talk : Managing your Career -Part I- KLA Industries, Inc.
We are in most likely somewhere in the middle stages of a business expansion that began slowly for a few years but has recently caught fire. For the professional workforce we are still in a secular trend that will last about another 15 years, driven primarily by the baby boomer generation leaving the workforce in numbers that cannot be replaced on a one-for-one basis. With that backdrop, let’s start to look at what action employees should be taking. What is your greatest asset? I’m asking in the financial sense, so if you said, ‘my personality’ or ‘my hair’, start over. Many might say their home, if they own that, or maybe their 401(k). If you are near retirement, those may be the right answers, but for most professionals in their 20’s, 30’s, 40’s and even 50’s, their most valuable asset is their potential future earnings. And yet often we spend more time trying to find the best deal on a new cell phone than we do actively managing our careers. If you have a college degree, experience with good companies, and a stable job history with a record of achievement and increasing responsibilities, you are a hot commodity. But understand that no one is going to manage your career for you, so keep your resume current. Top performers particularly tend to forget significant achievements over time, because they’re “just part of the job”. Keep a folder where you can put e-mails from the boss or co-workers thanking you for your part in a successful project, or other awards or recognition. Be honest with yourself in evaluating your current situation. It is all too easy to become “the boiled frog” when you have a job where you are comfortable, and the company seems stable. If you have not had a promotion or increased responsibilities for several years your career is probably falling behind where it could and should be. If you haven’t gotten a raise, or bonus payout, in a couple years, don’t rationalize it. Consider finishing a degree or getting a certification or professional designation in your industry. You don’t need to change jobs or companies, but you should be in a state of readiness to do just that should opportunity come knocking on your door.